What is new in THR? The hip joint is one of the favourite surgery of Dr Uttam Garg. 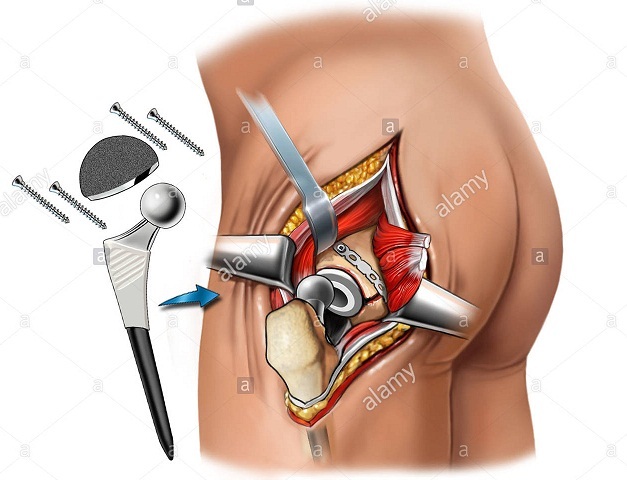 He is performing Total hip replacement, Acetabulum reconstruction in the case of fracture of acetabulum , He is duly certified in minimally invasive surgery(Through small incision) in total Hip replacement. Hip joint replacement is surgery to replace all or part of the hip joint with a man-made joint. The artificial joint is called a prosthesis. A socket, which is usually made of strong metal. A liner, which fits inside the socket. It is usually plastic, but some surgeons are now trying other materials, like ceramic and metal. The liner allows the hip to move smoothly. A metal or ceramic ball that will replace the round head (top) of your thigh bone. A metal stem that is attached to the thigh bone to make the joint more stable.